The most essential method, which includes all other methods, is beholding the mind. The mind is the root from which all things grow. If you can understand the mind, everything else is included. It’s like the root of a tree. All a tree’s fruit and flowers, branches and leaves depend on its root. If you nourish its root, a tree multiplies. If you cut its root, it dies. Those who understand the mind reach enlightenment with minimal effort. Those who don’t understand the mind practise in vain. Everything good and bad comes from your own mind. To find something beyond the mind is impossible. But how can beholding the mind be called understanding? When a great bodhisattva delves deeply into perfect wisdom,1 he realizes that the four elements and five shades are devoid of a personal self. And he realizes that the activity of his mind has two aspects: pure and impure.2 By their very nature, these two mental states are always present. They alternate as cause or effect depending on conditions, the pure mind delighting in good deeds, the impure mind thinking of evil. Those who aren’t affected by impurity are sages. They transcend suffering and experience the bliss of nirvana. All others, trapped by the impure mind and entangled by their own karma, are mortals. They drift through the three realms and suffer countless afflictions, and all because their impure mind obscures their real self. The Sutra of Ten Stages says, ‘In the body of mortals is the indestructible buddha-nature. Like the sun, its light fills endless space. But once veiled by the dark clouds of the five shades, it’s like a light inside ajar, hidden from view.’ And the Nirvana Sutra3 says, ‘All mortals have the buddha-nature. But it’s covered by darkness from which they can’t escape. 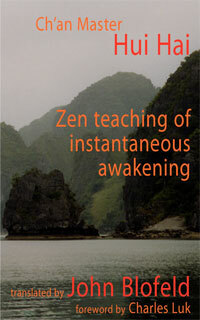 Our buddha-nature is awareness: to be aware and to make others aware. 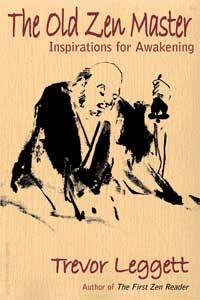 To realize awareness is liberation.’ Everything good has awareness for its root. And from this root of awareness grow the tree of all virtues and the fruit of nirvana. Beholding the mind like this is understanding. 1 Perfect wisdom. This is a paraphrase of the opening line of the Heart Sutra, where the bodhisattva is Avalokiteśvara and where perfect wisdom, or prajnaparamita, is no wisdom, because perfect wisdom is ‘gone, gone beyond, gone completely beyond’ categories of space and time, being and nonbeing. 2 Pure and impure. For an extended discourse on these, see Ashvaghosa’s Awakening of Faith in the Mahayana, where pure and impure are called enlightenment and nonenlightenment. 3 Sutra of Ten Stages . . . Nirvana Sutra.When translations of these two sutras first appeared in the early fifth century, they had a profound effect on the development of Buddhism in China. Among their teachings are the universality of the buddha-nature and the eternal, joyous, personal, and pure nature of nirvana. Up until then, the doctrine of emptiness taught by the prajnaparamita sutras had dominated Chinese Buddhism. The Sutra of Ten Stages, which details the stages through which a bodhisattva passes on his way to buddhahood, is a version of a chapter by the same title in the Avatamsaka Sutra. 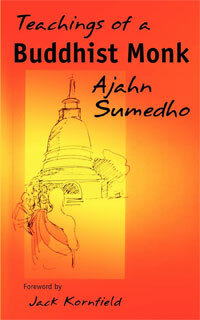 First published in the August 1996 Buddhism Now. 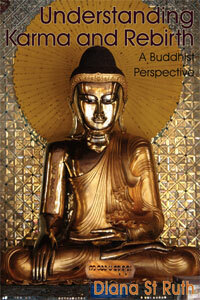 A wonderful sermon about one’s journey to enlightenment and how we can all attain a Buddha-nature. The path to enlightenment in a simple statement. What is enlightenment but achieving an absolute understanding of yourself? Buddhism brought me to where I needed to be, and then I discovered I needed to drop ‘all’ systems I’ve been trained with to really “know”. It helped immensely. An uplifting sermon. It helps focus and still the mind to realised the pure and impure aspects. Thank you. Very simply and clearly put. Love it.